Richard Kohn's book transports the reader to the high Himalayas for an in-depth look at the inner workings of the three-week long Mani Rimdu festival. This event encapsulates the breadth and depth of the Himalayan Buddhist experience, from the profound practices of Great Perfection meditation to the worship of the gods of the neighboring mountains. The festival uses archaic material as well as prayers written by contemporary lamas, and it entails the preparation of numerous works of ritual art such as man'd'alas constructed of colored sand and sculptures of barley flour and colored butter called tormas. Two days of public performance, a day of spiritual empowerment, and a day of masked dance complete the festival. A description of Mani Rimdu from beginning to end, Lord of the Dance goes on to consider the structure of Tibetan ritual and its place within the history of South and Central Asian religions. In addition, the author discusses ritual as an art form and analyses the transformation of a textual tradition into performance art. 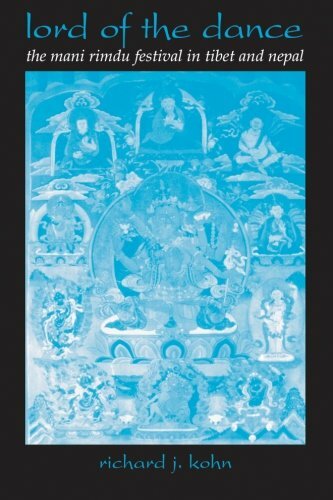 Through the small window of the Himalayan festival, the book overlooks the vast horizon of the Buddhist experience.